The HPA is setting course towards a ‘digital port’ and is heavily based on virtual and augmented reality. The aim is to depict the entire port area, including all its infrastructure, in a 3D model. This means that not only buildings and streets can be seen on the monitor or through VR glasses, but the underwater environment can be visited virtually and brought to life. With this, planners, decision makers and citizens have the opportunity to glance into the future, for example, through building projects. The HPA was awarded first prize in the ‘Best Infrastructure Project’ category at the renowned eGovernment competition for its “VR and AR in the Port of Hamburg” project. The advantages of a 3D model of the port are clear: through BIM, all participants can virtually observe a building site and therefore recognise and correct problems in advance. The ‘Virtual and Augmented Reality in the Port of Hamburg’ project, that was realised under the direction of the HPA, shows exactly how the implementation of such a project would look. The state company Geoinformation and Vermessung, the University of Hamburg and the HafenCity University were also involved in the project. Alongside this project, the Hochbahn also promoted the ‘Virtual Reality Bus’. 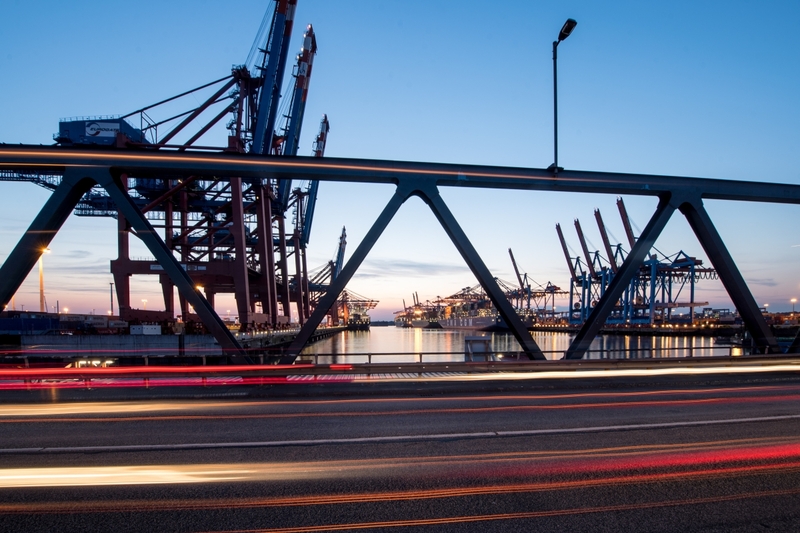 For the two multi-organisation projects, the Hamburg Authority for Economy, Transport and Innovation (BWVI) won first prize in the ‘Best Infrastructure Project’ category. 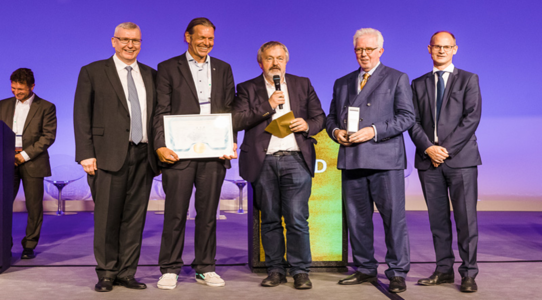 Dr Sebastian Saxe, Chief Digital Officer (CDO) at the BWVI and the HPA, received the award for the ‘Virtual and Augmented Reality in the Port of Hamburg’ and ‘Virtual Reality Bus’ projects. According to his evaluation, virtual and augmented reality will have an effect in many practical applications. This includes in combination with artificial intelligence to support navigators on board a container ship. For example, water depths and other relevant information can be graphically presented through data glasses. For the ‘Virtual Reality Bus’, a small bus was converted to research the effect of virtual reality on moving objects, for example. The three-seater has no windows but a large monitor on the sides instead. Cameras are installed on the outside. During the journey, the virtual mode can be switched on and external world as similar to reality as possible can be shown. This gives riders the feeling of being in a different environment. 360-degree models and films are used. The project partners are the BWVI, the HPA, Hochbahn with Jasper and MAN.